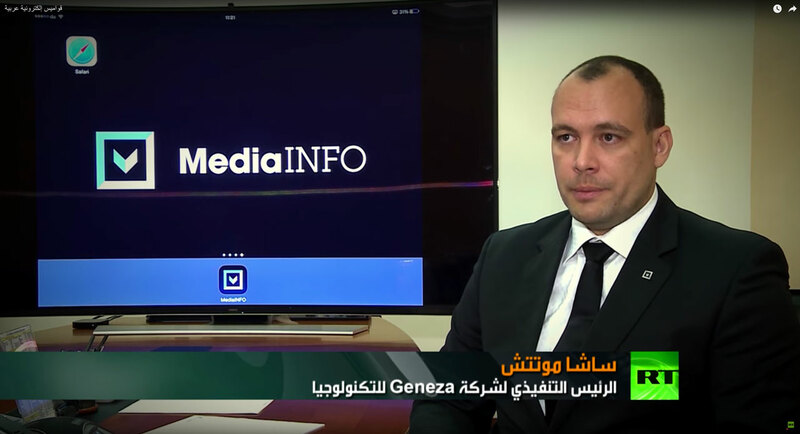 Russia Today -Arabic (RT) is one of the most popular TV channels in Middle East. Its latest weekly technology report was focused around recognition of printed Arabic texts, which were extremely challenging in the past. Latest technology developments by Abbyy are proving that OCR of Arabic are reaching levels of recognition of western languages. MediaINFO Digital Library has a deep native support of Abbyy OCR results. The Middle Eastern companies and governments can now finally enjoy the benefits of such accuracy for digital libraries and document management. As a selected technology partner company, Abbyy has selected Geneza’s MediaINFO Digital Library to be highlighted as the pinnacle among end-user interfaces catering the needs of Libraries, Archives and Businesses. It has a power of instant display, search results shown directly on high-resolution scanned images. It brings interaction with content mixed with extremely powerful access control and administration modules. MediaINFO, together with the power of Abbyy OCR is helping new digitization projects in Middle East write success stories. Here is a link to RT-Arabic report on Youtube.